The final episode of season five of Star Wars: The Clone Wars aired on Cartoon Network on this day in 2013. This was the 20th episode of the fifth season and would mark the end of 'The Clone Wars' on TV. 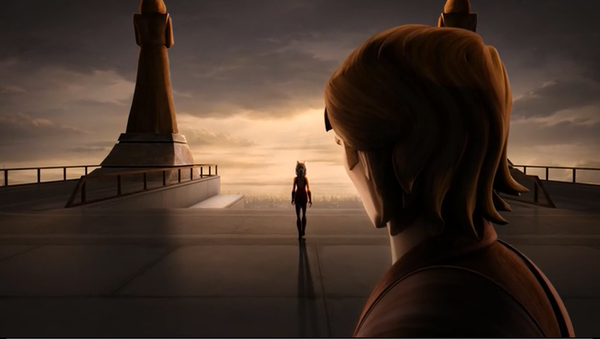 The episode was named 'The Wrong Jedi' and is most remembered for Ahsoka's final goodbye to Anakin as she walks away from the Jedi Order to live a new life. The episode was painstakingly emotional, not least because it signalled the end of 'The Clone Wars' TV series. In a year's time 'The Clone Wars' would return to air a sixth season on Netflix, but the TV show would never return on television networks, such as Cartoon Network and Disney XD. Shed a tear for this memory.